We came across this story, about a man who was slowly losing his memory. After a lengthy examination, the doctor said that a risky operation on his brain might reverse his condition and restore his memory. However, the surgery would be so delicate that a nerve could be severed, causing total blindness. Our enemy is always trying to dig up the past and keep us all bound up in our failures. But be encouraged! Today is a new day! Today and every day we have a choice to make! 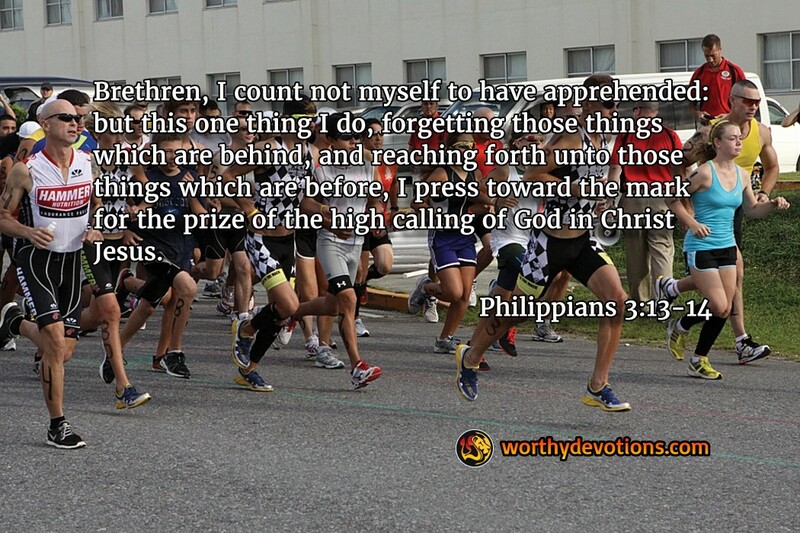 Like Paul, we must choose to press forward and put aside our past. We must purpose to keep our eyes on the Lord, not on our successes or failures, but upon on what can we do for Him today! The Blood Must Be Applied!